Most writers never get rich. You know that. I know that. Everybody knows that. But is it possible to make a nice little side income? Get paid to write from time to time? 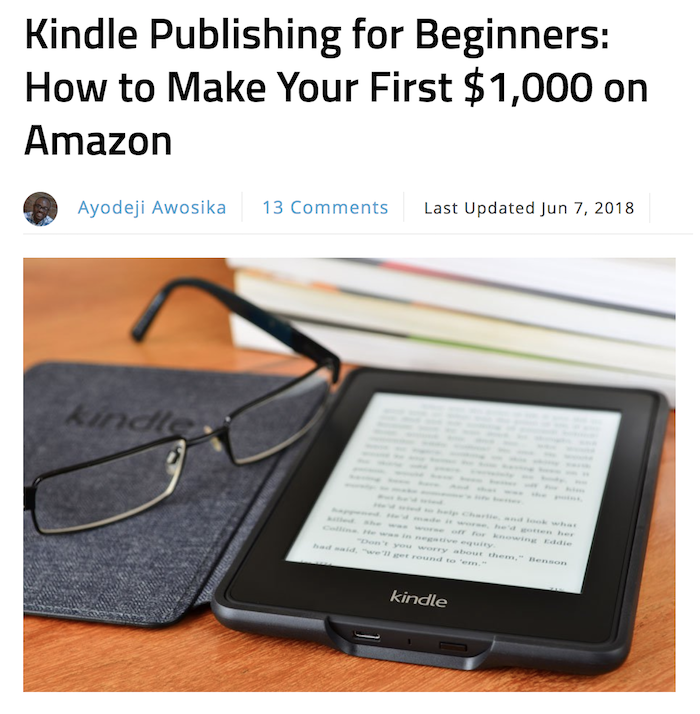 In this post, you’ll learn exactly how to make money writing. Different strategies, how to do it, everything you need. Let’s start by talking about what’s possible (and what’s not). Writing for a living offers a ton of advantages – you get to choose when and where you work, and with whom. No wonder this promise of creative and personal freedom attracts so many people. But the truth is that most of them don’t want to think about the practicalities of becoming a full-time freelance writer. They don’t want to think about the uncertainty, the rejection, the self-doubt. They don’t want to think about all the small, unglamorous tasks that make life as a writer possible. Deep down they fear their perfect dream will tarnish if they drag it down to earth. So it just hangs there in a shiny bubble, waiting for the day it miraculously comes true. Of course not, but without a concrete strategy, that is what it would take to make your distant dream a reality. Experience shows that vague plans fail. Grounding your dreams in reality is what makes them happen. Even if it means thinking about the things you’d rather not consider. It’s not enough to say you want to make a living as a writer; you need to know how. You need a concrete plan to bridge the gap from where you are now to where you want to be. And the more realistic your plan, the better. Don’t bet the farm on a path that only a small handful of super talented (or incredibly lucky) outliers have followed. Choose one that’s worked for lots of people. Despite talk of global “content fatigue,” major publications — both on- and offline — must keep publishing content or die. That means popular blogs, magazines and journals remain hungry for quality writing — and many are willing to pay for it too. You’ll need to hustle to find the best opportunities, understanding that success won’t happen overnight, but writing for these publications is still a smart way to make money as a writer. Let’s start with the blogs. Although writing articles for popular blogs (a.k.a. guest blogging) is still typically unpaid, with most writers trading their content for exposure, numerous exceptions still exist. 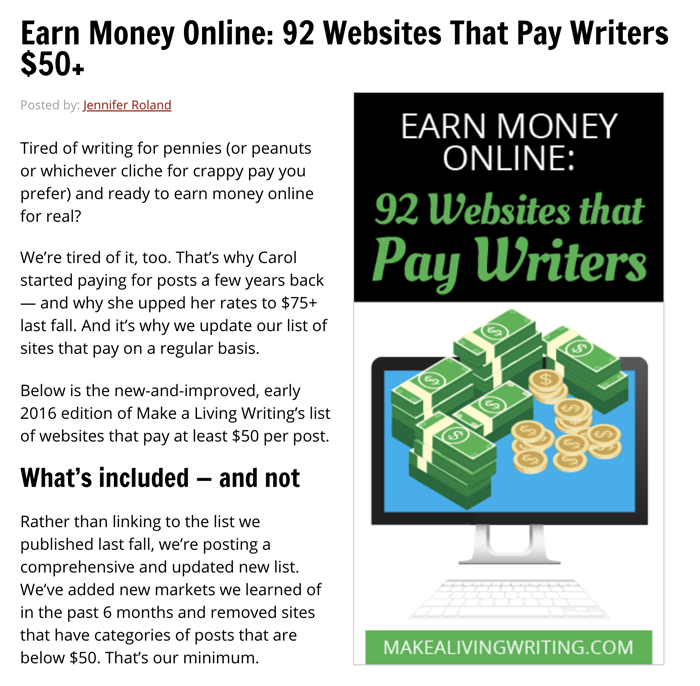 For some examples, check out Carol Tice’s Make a Living Writing for a comprehensive list of sites that pay for guest articles. Guest posts can also lead to other paid work. Take this blog as an example: we’ve approached several guest writers to create content for our paid courses, and paid them several thousand dollars for their work. And what about the world of print? Is that still a viable way to make a living as a writer in this day and age of online everything? Traditional publishing has had a rough ride, but many consumer magazines are still going strong, and many of these publications still pay well for feature articles. Of course, you can’t expect to land a lucrative opportunity right away — you’ll need to climb the ladder via smaller, local publications, building your credibility as you go. 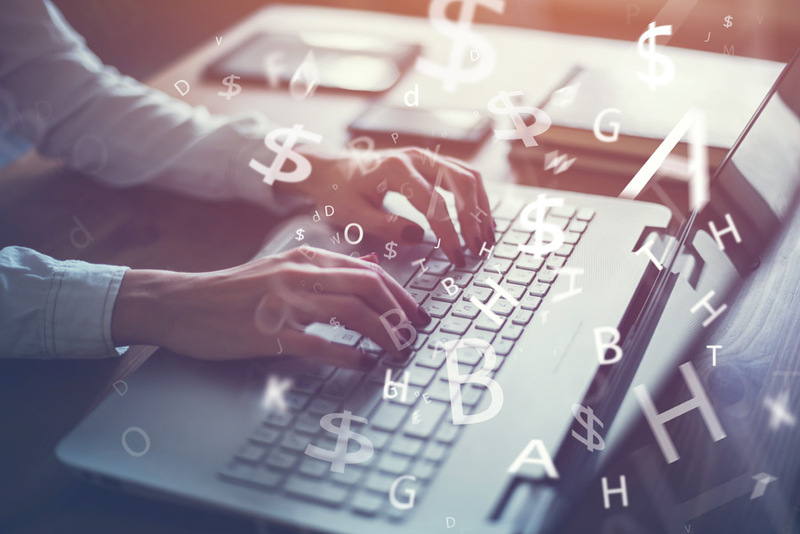 Likewise, trade journals crave quality articles within their narrow topic area and many are waking up to the more conversational, engaging writing style that writing for the web demands. Also, talented bloggers with proven specialist knowledge can often skip the ladder-climbing and break in with the right pitch. In general, the secret to making this model work is being tenacious about chasing down opportunities — whether it’s ghostwriting or regular freelance writing work — and being efficient with your writing once you land them. The people who follow this model successfully are like writing machines — they crank out quality content quickly and don’t allow themselves to get bogged down in any one project. In the last five years, content marketing — this concept of creating valuable content to attract customers and build credibility and trust — has undoubtedly gone mainstream. The result? More and more businesses are getting into the content game. Some have a clear strategy, while others are just jumping on the bandwagon and hoping it pays off down the line. 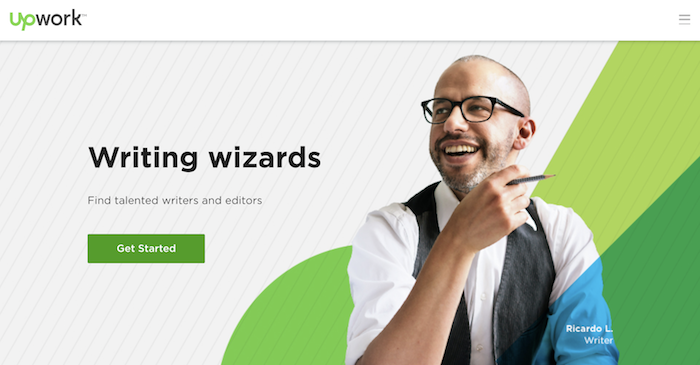 This has created a market for smart writers who can write for a specific audience. These content-hungry businesses need articles, white papers, case studies — the list goes on. And they fully expect to pay for them. Breaking into this market can be tough without a few contacts to get you started, but it’s not impossible. Initially, you may need to jostle for attention with thousands of other eager writers in freelance marketplaces like Upwork.com. But with patience and hard work you can establish a track record of successful projects and break away from the low-earning masses. However, this route requires a portfolio of content-related skills — not just an understanding of the target niche, but of marketing fundamentals and SEO too. In other words, you’ll need more than a laptop and a passion for writing to impress this crowd — you’ll need to persuade clients that you understand the bigger picture. One smart way to differentiate yourself is to build your own platform, using blogging and guest blogging to demonstrate the expertise you hope to harness for others. What about making it big as an author? Could that be your best route to a life of freedom as a full-time writer? Well, it’s certainly more realistic than it used to be. Ten years ago, writing a best-selling book was a distant dream for most writers and self-publishing on Kindle was often dismissed as a vanity exercise. But today, thanks largely to Amazon and Kindle, the self-published book market is gigantic and making your living from writing books is far more achievable. Enter, the authorpreneur — the author with an entrepreneurial brain. Of course, more achievable doesn’t mean easy. If you have visions of publishing one book and retiring on the profits, you’ll be sorely disappointed. To succeed, you need to be commercially minded and target an established market with proven demand from readers. That doesn’t mean you shouldn’t follow your passion but be prepared to validate it first. You’ll need to be persistent and prolific too — chances are you’ll publish several books before gaining any traction, and you’ll need sales from multiple titles to approach anything resembling a full-time income. However, according to a report earlier this year from Author Earnings, 1,600 indie authors are earning $25K or above from Amazon book sales, and 1,000 published their first book three years ago or less. But should you write nonfiction or fiction? Nonfiction is the most natural fit for the average blogger, and if you’re blogging in a popular niche, the chances are that books covering similar topics will also be popular. If you want to find success as a self-nonfiction author, check out Steve Scott. Even though he’s recently switched his attentions to a regular podcast on self-publishing, his old site still has a ton of useful information. Fiction writing is arguably tougher (and requires a rather different set of skills), but there’s no denying that your earning potential if you do hit it big, is much larger. And it’s no coincidence that the most famous self-publishing successes are all fiction titles. 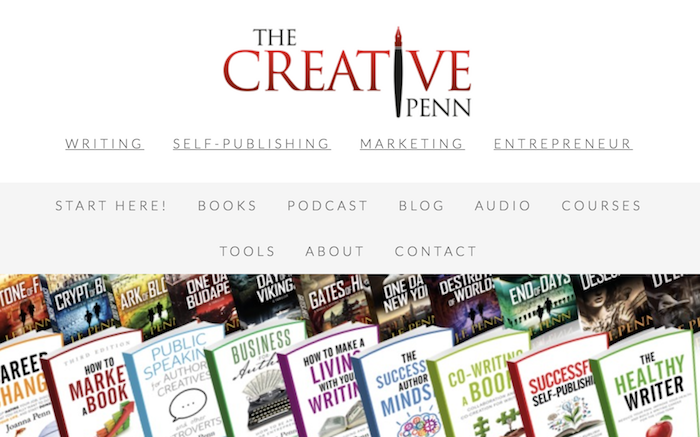 For inspiration and direction visit The Creative Penn. Joanna Penn is a prolific fiction (and nonfiction) author and her site is rich with information about making it as a fiction writer. But in either case, you need to be led by the market for topic (or genre) selection. And you need to be prepared to write multiple books before seeing any real results. One major advantage of this route is that you continue to earn money from your back catalog, sometimes far into the future. Once you start to make a basic living from your writing, additional titles only build your income further. The secret to making authorpreneurship work for you? Build an email list. Your existing fans are the perfect audience for your next book. Copywriting, in a nutshell, is writing that’s designed to make readers take a specific action. Sales letters, video scripts, even product descriptions — these all need writing by someone, and they live or die on the results they produce. Copywriting may not seem fundamentally different to other forms of writing, but in practice, it’s a discipline all of its own. While there’s a trend towards more conversational, empathetic copywriting — moving away from the hype-fuelled “hard sell” — you still need a solid understanding of the principles of persuasion. So unless you have a copywriting background be prepared to invest time and money in learning the fundamentals. There are some excellent books on the topic — CA$HVERTISING: How to Use More than 100 Secrets of Ad-Agency Psychology to Make Big Money Selling Anything to Anyone (affiliate link) is a good place to start. 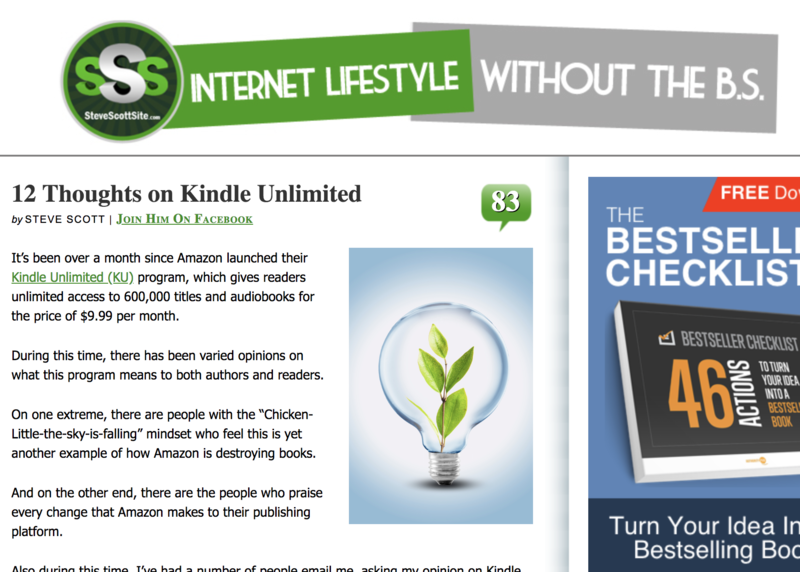 Copyblogger’s Brian Clark shares his favorite titles here. The most famous training course on copywriting is probably AWAI’s Accelerated Program for Six-Figure Copywriting. Notwithstanding the steep learning curve, the rewards of copywriting can be significant. A high-converting sales page might earn you $2,000, plus a slice of the revenues too. As a bonus, a foundation in copywriting will also be valuable should you ever decide to sell your own products. I’ll be honest — building a popular blog is tough. Really tough. And once you’ve scaled your blog beyond a certain point, you might be surprised how little time you actually spend doing the thing you love — writing. But there is a path to making a living from a blog where you still spend a good proportion of your time writing. And it starts with picking a blog niche where a large, passionate audience already exists and — this is crucial — where you can find successful products from trusted names to sell. Promoting affiliate products is a much smarter way to start earning money from a blog than creating your own product. With an affiliate product, someone else has already done the hard work of validating the market, building the product, and enhancing it based on customer feedback. Someone else gets to handle the pre-sales inquiries, payments, refunds, and product support. Many affiliate products pay high commissions too — 50% or even more — because the incremental production cost of digital products is essentially nothing. The secret is finding the right products — ones that you can stake your reputation on. 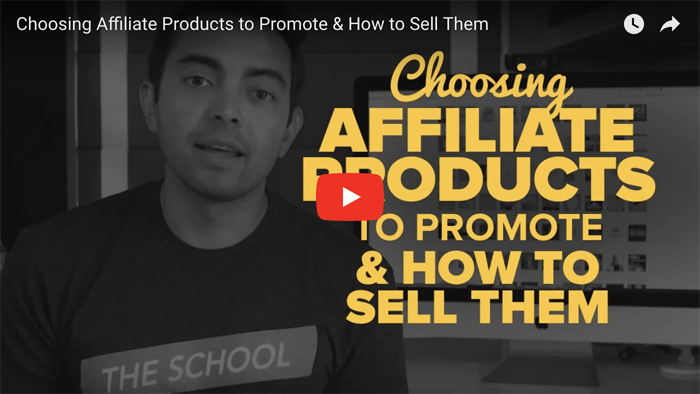 Pat Flynn is the undisputed king of passive income, earned (mostly) from sales of affiliate products — check out his video on Choosing Affiliates Products to Promote and How to Sell Them. Ideally, you’ll know what products you’ll sell even before starting your blog because then you’re growing an audience that perfectly matches your offer. 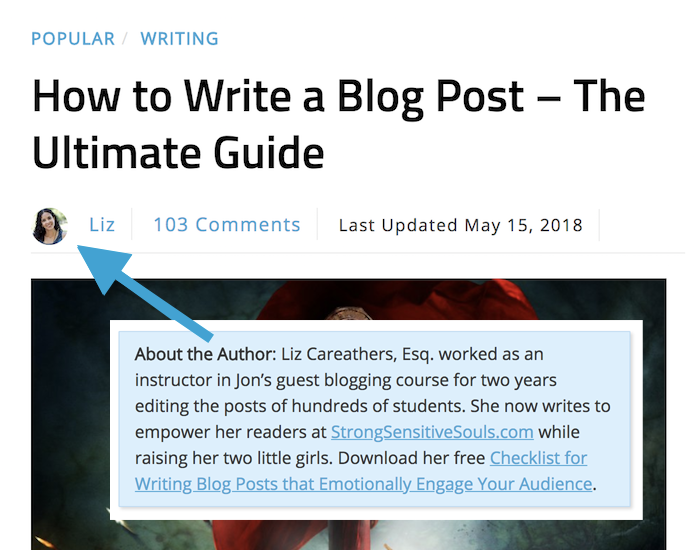 Of course, you still have to do all the stuff that makes a blog successful — publishing great content, building your email list, reaching out to influencers, etc. — but writing remains a big part of the equation, i.e., creating the stellar content that brings people to your site. Once you’re in a groove, you can think about adding your own products to the mix, using your writing skills and topic knowledge to deliver a specific result that readers are willing to pay for. But when you’re starting a blog, promoting affiliate products is the most realistic, and least risky, way to make a living from writing. Because you know what… I’m tired of seeing talented writers stuck in lives they don’t love. So the dreaming stops here — it’s time to decide once and for all. Are you truly serious about writing for a living, or is it just an idle fantasy to cheer you up when your regular job gets you down? If you are serious, then decide: which of these five paths above will you follow? Writing articles for money? Content marketing? Becoming an authorpreneur? Copywriting? Or starting a niche blog? If none of them feels like an exact fit, don’t worry, that’s normal. Pick whichever one’s the closest and try it on for size. Any discomfort is just the price of getting real. About the Author: Glen Long is the managing editor of Smart Blogger (a.k.a. chief content monkey). When he’s not creating or editing content for this blog or an upcoming course he’s probably watching Nordic Noir. Why not say hello to him on Twitter?